If you’re after an exciting drive that will level up your daily commute, then the 2016 Dodge Challenger should be among the top in your list of must-haves. Car and Driver, the leading automotive magazine in the US places this within the Top 3 of the best muscle cars in the nation to date. Numerous stylish features, brilliant engine performance, and tech-savvy amenities all combine to make an unforgettable driving experience. The 2016 Dodge Challenger has a little something for every type of driver, with 10 trims available, including the RT, SXT, the SXT Plus, and the SRT trims like the 392 and Hellcat. As you cruise along the city roads, your vehicle will definitely make heads turn with one-of-a-kind color schemes to tickle your fancy. 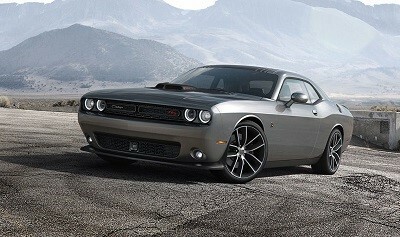 Jazz Blue,TorRed, Redline Red, and Plum Crazy are just some options in the Challenger’s palette. This post originally appeared on VivaChryslerDodgeJeep.com blog page. Posted on December 17, 2016 by CedrickPosted in BusinessTagged 2016, challenger, dodge, limits, paso.